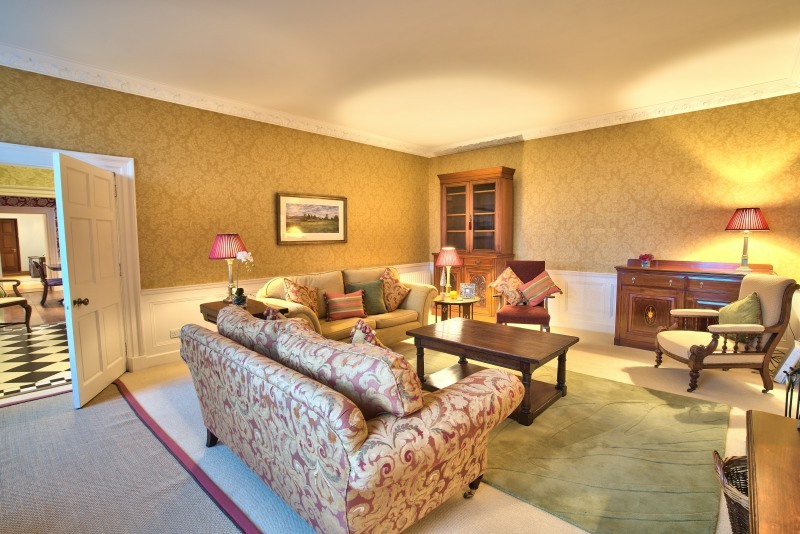 Just a couple of miles from Dornoch Castle, Cathedral and the world-famous Royal Dornoch Golf Club, and standing in 8 acres of private garden, Embo House occupies a commanding position overlooking the Dornoch Firth. Steeped in history, this Grade A listed house dates originally from the sixteenth century and was an ancestral castle of the Clan Gordon, but then benefited from an elegant, Georgian make-over and today it provides contemporary and luxurious self-catering accommodation for large family groups, golfers or indeed weddings. 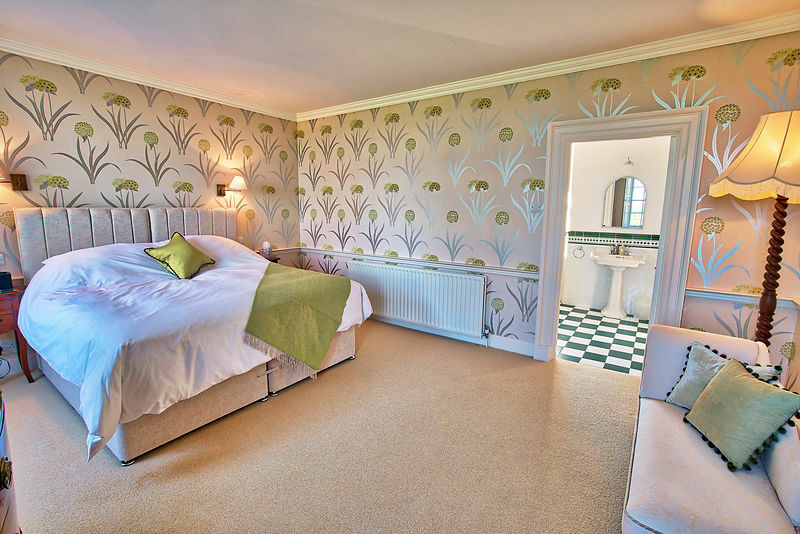 There are eight, spacious double bedrooms, (7 with views over the Dornoch Firth) with a flexible mixture of double and twin beds – and each bedroom has a private bathroom. 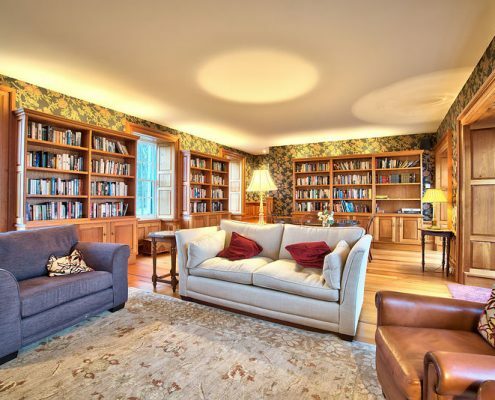 Downstairs, there is a fabulously light and well-equipped kitchen, a grand dining room which can seat 16, a beautiful, cedar-lined library, a cosy sitting room and a large, private whisky bar/games room, equipped with Sky TV. Outside, there is a practice pitching area (complete with water hazard and bunker) a large BBQ & terrace area, a tree-house and a beautiful glass summer-house in which to catch the last rays of sun, accompanied by good friends and your favourite tipple! Embo House is ideally suited to hosting large parties, either fully self-catered, or partly catered (see Extra Services and Amenities section). Set in eight acres of beautiful, landscaped gardens, and just one field away from dunes and sandy beaches, Embo House lies a mile or so north of the bustling local centre of Dornoch and its world-famous golf course. It is a great base from which to explore the North Highlands or simply sit tight and enjoy the delights of a well-appointed and beautiful Georgian mansion. With generous, Georgian proportions and stylishly contemporary furnishings, 7 of the 8 Bedrooms at Embo House have sea views and all have private bathrooms. The ground floor and gardens include a well-equipped kitchen, dining room, library, games room, whisky bar and practice pitching area! 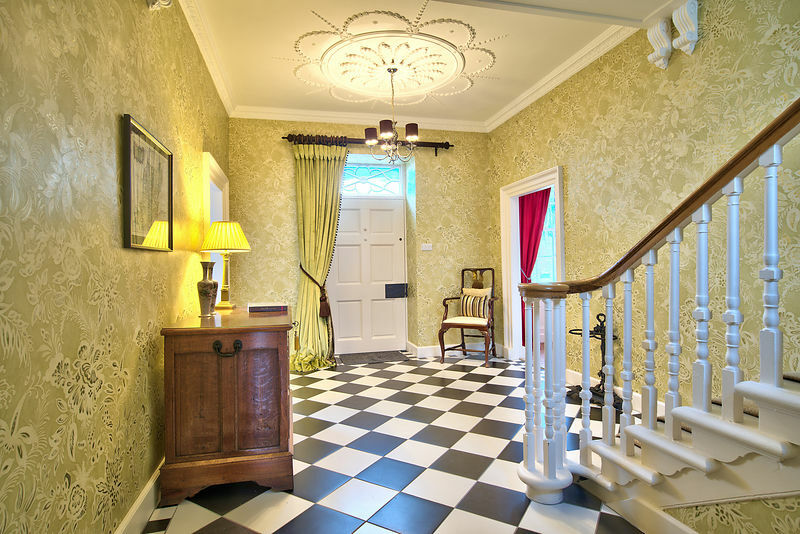 Embo House appears today as an elegant, Grade A listed Georgian mansion overlooking the sea. However, it actually dates from the sixteenth century, and its appearance has changed through time. 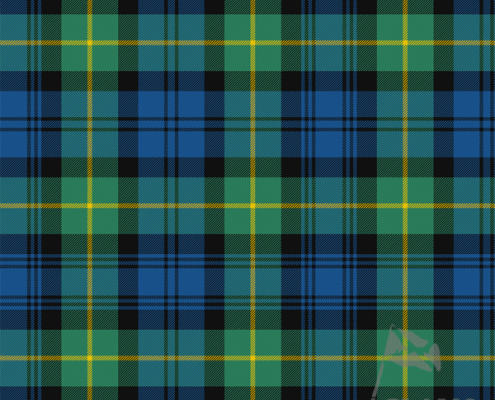 Find out more about previous owners from the Clan Gordon onwards in this potted history. There are lots of interesting things in the house, to make your stay more enjoyable. We are also happy to help tailor your Embo House experience to your special needs. Though if you don’t have any, no problem at all! 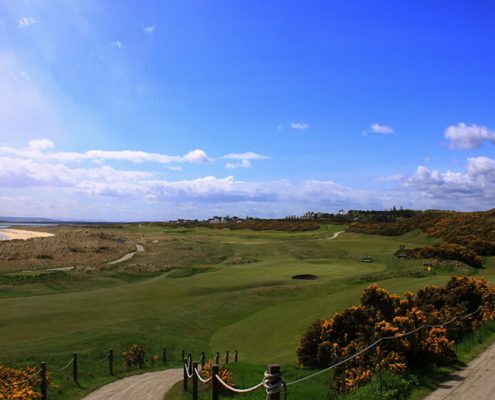 The North-East of Scotland is rightly a Mecca for golf lovers, with Royal Dornoch at its heart. Currently ranked #1 in Scotland and #5 in the world by Golf Digest, the 1st tee is 2 minutes from the house by car; the 8th green, a half mile walk away. 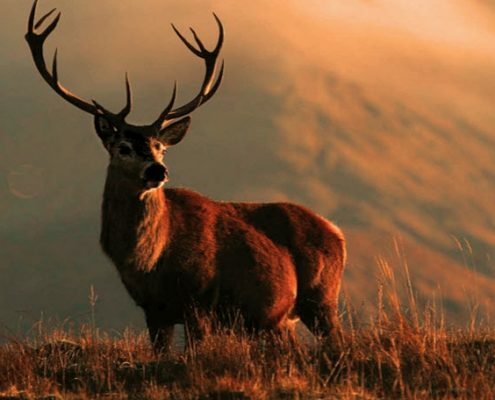 The Highlands are made for romance! 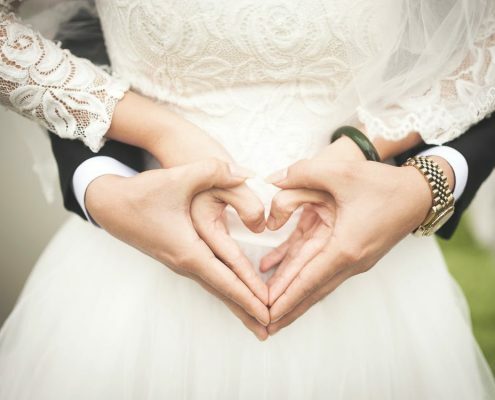 And Embo House is ideally situated to help you create the most magical Highland wedding. The house and gardens can both be used to form a fabulous backdrop to your special day. You can use the booking system above to look at availability and to book in full weeks, starting on Thursdays. However, we are very happy to offer shorter breaks and greater flexibility if you contact us by phone, email or using the form below. We will normally get back to you within a few hours. Our rates for 2019 are shown in the table below. 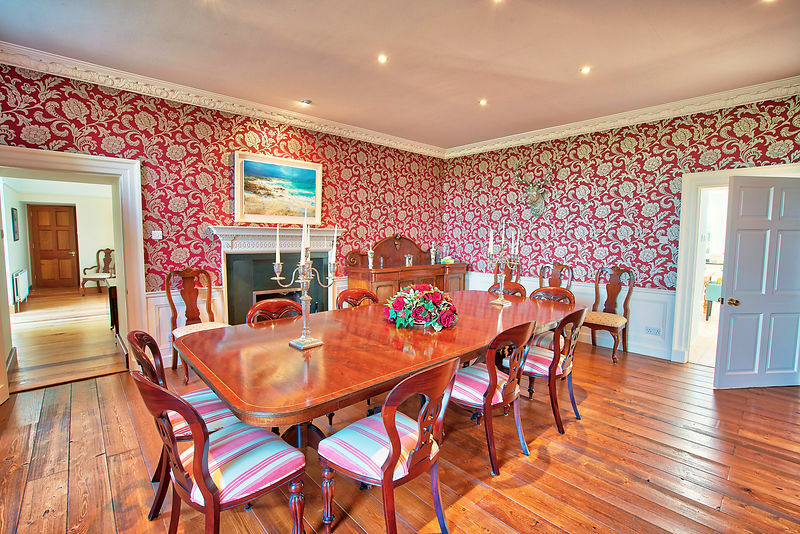 Embo House sits in its own grounds, overlooking the sea, a mile north of the Royal Burgh of Dornoch. Best known for its Championship Golf Course, Dornoch is a historic town centred around its 13th century cathedral and castle. The house is sandwiched between two large Sites of Special Scientific Interest (SSSI’s) – The Dornoch Firth and Loch Fleet Nature Reserve. As well as being popular with golfers, the area is home to all kinds of wildlife and attracts birdwatchers, nature enthusiasts, walkers, cyclists, fishermen, stalkers and lovers of history. Driving from Inverness: From Inverness take the A9 North. Cross the Dornoch Firth and take the next exit on the right signposted Dornoch (A949). Continue through the village and at the T-junction, turn left towards Embo. Travel along this road for about 2 miles. You will see the driveway to Embo House on the right hand side, lined on both sides with thick beech hedges. Follow the drive down and round to the left, when you will see Embo House on your right. 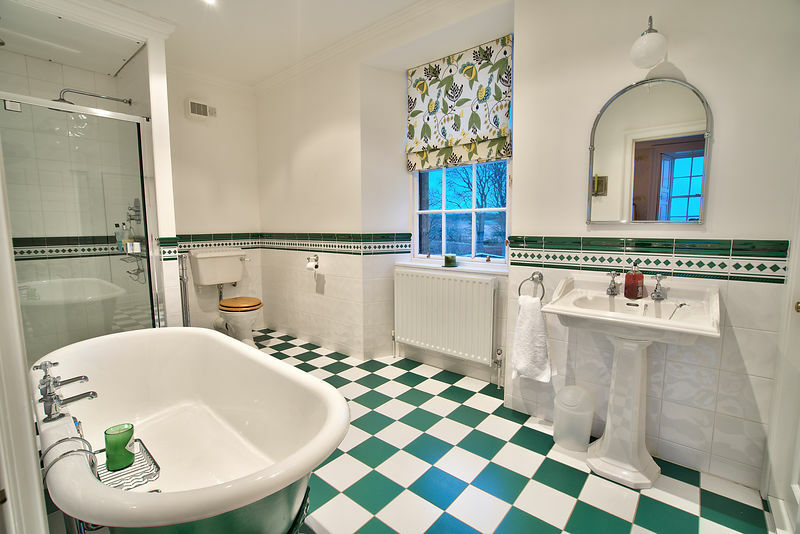 …absolutely lovely with magnificent rooms, cozy sitting rooms and a a terrific garden; all caringly maintained. Embo House also arranged a catered dinner and catered breakfasts for us, which we highly recommend.